I haven’t even started a single chore on my list today. We had dentist appointments, I had work-at-home tasks to finish, and my kids needed help with some things. But sometimes that’s life! I’ll do what I can this evening and pick it back up tomorrow. 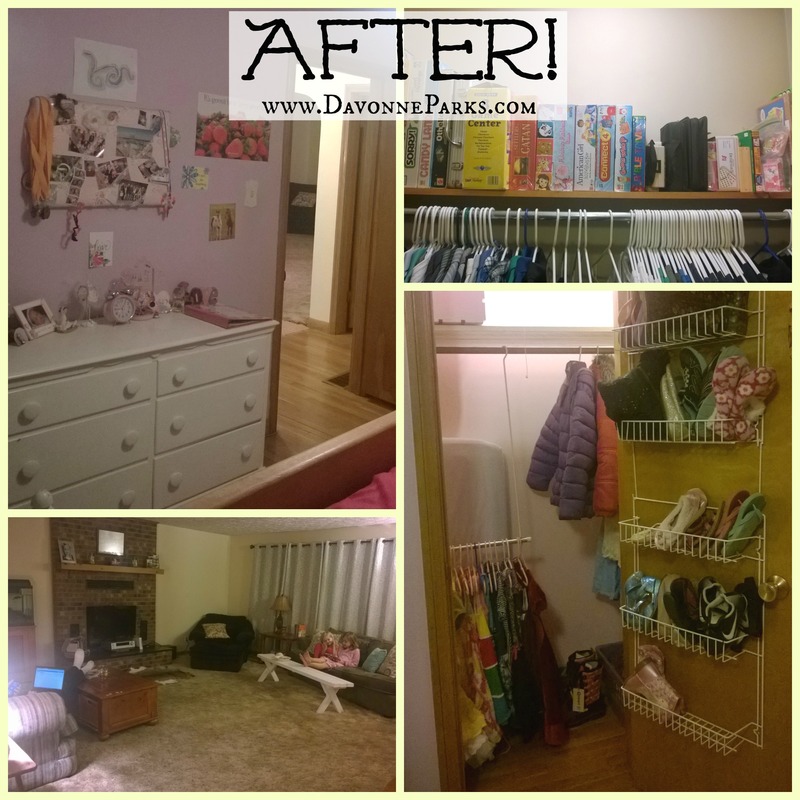 Yesterday was much more productive – the girls and I went through every single item in their room, reorganized their clothes, and put things in donation bags. I remember when we used to be in their room for three solid days, but this time we finished in 2.5 hours. Plus since we decluttered the living room when we painted in November, there wasn’t a whole lot to do other than sort through the closet but we did manage to find a whole trash bag of things to donate! 3 trash bags full of items for donation. I am blown away that you came up with bags of clutter from the girls room. It’s always so neat when I am there!! I was surprised too! I didn’t expect to find much in there but they were both in a purging mood so I just went with it!